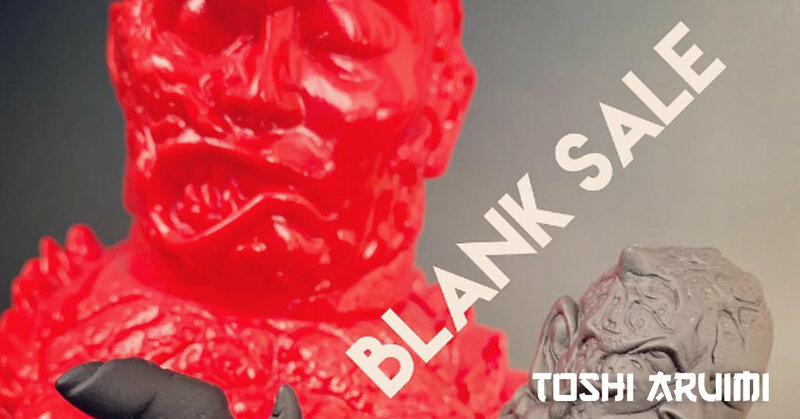 Legendary sofubi artist Toshi Aruimi is currently hosting the first ever blank sale. Collectors and artists be advised! The red vinyl Kenka Bozu and matte black soft vinyl version of the 3 figures set “Birth of Kenka Bozu” are already available for purchase. The special 3 pieces set can be formed in two different ways, the Darkside form featuring the Snail Bozu and the Face huged Bozu. Priced at 220usd+shipping EMS 35usd (Asia 25usd). Sales will go down as lottery if there’s much demand.